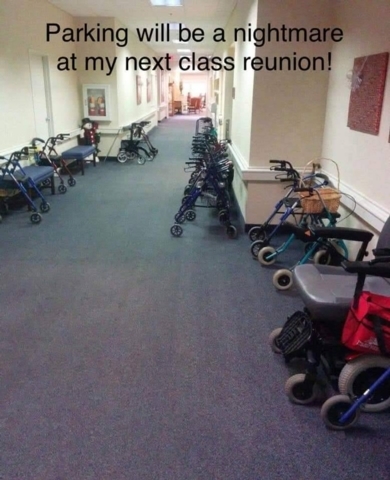 The 50 year reunion is now well in the past. I'm sure everyone will agree it was a great evening. As we look forward to the next reunion, it may be time to face reality. Ha ha. Hopefully, no one will be offended. It's simply a joke. Follow the link below to see photos of the school tour and reunion, or click on the tab in the upper left corner of this page titled, "50th Reunion."